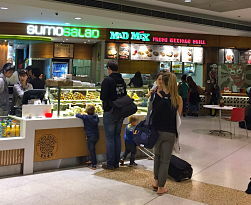 Sydney airport has two domestic terminals, T2 and T3. 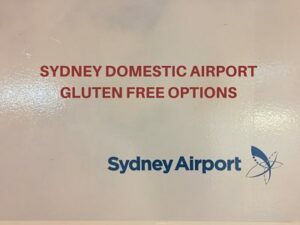 The post lists the most likely places to find gluten free options, but please make your own enquiries regarding cross contamination. 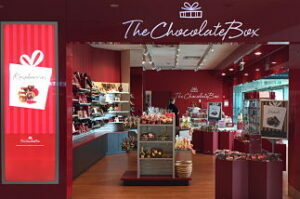 You can find maps and store lists on the Sydney Airport website and you can also check store opening hours there. Terminal 2 serves Virgin, Jetstar, Tigerair, Jetgo and Regional Express and Terminal 3 serves Qantas. Terminal 1 is for international flights. 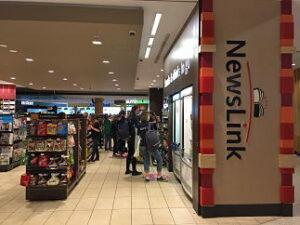 If you are flying to Melbourne, please see the Melbourne Airport post. If you are after a quick lunch before boarding the plane, my favourite stop is Hudsons which is in the Baggage arrivals hall on the ground floor. 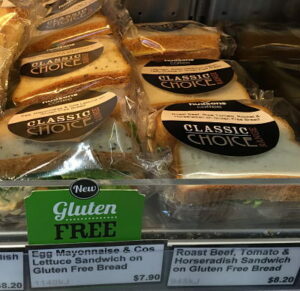 Hudsons Coffee (seating available) – prepacked gluten free sandwiches. 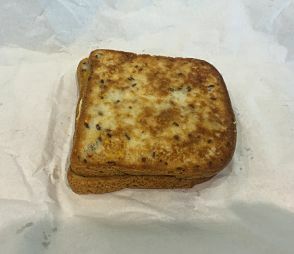 Sandwich can be toasted in baking paper to protect from cross contamination. Click here for a blog post on Hudsons Coffee. 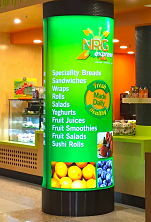 There is a food court opposite gate 6 where there are takeaway options with central seating available. Mad Mex – they label their naked burrito, nachos and corn tacos as gluten free. 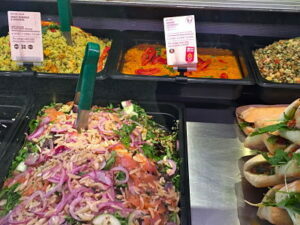 There is some more information on The Gluten Free Eating Directory. Hungry Jacks (aka Burger King if you are from overseas) – check with store regarding separate fryers/cooking methods, but possible options are 100% beef/chicken burgers (no bun), chips, hash browns, sundaes. 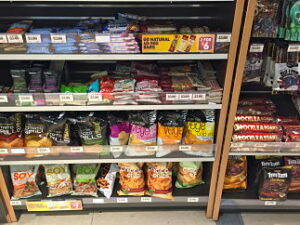 You can check their allergen guide online. Gloria Jeans Coffees – allergen info for drinks on website. May have some GF snacks. Hudsons Coffee – prepacked gluten free sandwiches. Sandwich can be toasted in baking paper to protect from cross contamination. Click here for a blog post on Hudsons Coffee. McDonalds (seating available) – similar to Hungry Jacks, above, but check with staff. Due to all day breakfast that started in 2016, cross contamination risk in fryers is greater than it previously was. Roll’d – Vietnamese street food. This is a chain that apparently has gluten free options as a number of dishes should be naturally gluten free. 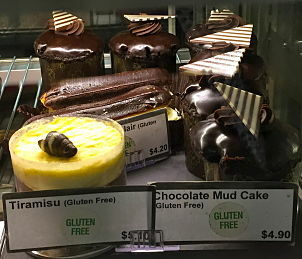 Mister Bianco – has a sign saying ‘gluten free available’. Pie Face – not suitable for coeliacs, but they may stock their low gluten pies. Big Crunch Sushi – 100% gluten free sushi rolls available at WH Smith (near baggage claim). Also look out for these at Hudsons in some Sydney stores.